Haji Lane has become well-known for its myriad of quirky boutique shophouses showcasing local and Asian design. The latest addition to this well-loved side street, however, promises to fill a niche previously uncatered to in the clothing market. New boutique SEMPRE prides itself as the first multi-designer store in Singapore to showcase and sell renowned Pakistani fashion labels. After acknowledging the lack of retailers stocking fashionable Pakistani clothing in Singapore, Mahjabeen Zaman, store owner and founder of SEMPRE, decided to act and fill the void. After tiring of ten years in the banking industry, and inspired by a personal love for design, Mahjabeen decided to make her dream of working in fashion a reality. The location of Haji Lane was a no-brainer, considering its proximity to the heart of the Arab quarter in Singapore, and being a pedestrianised area there is a regular flow of traffic for custom. 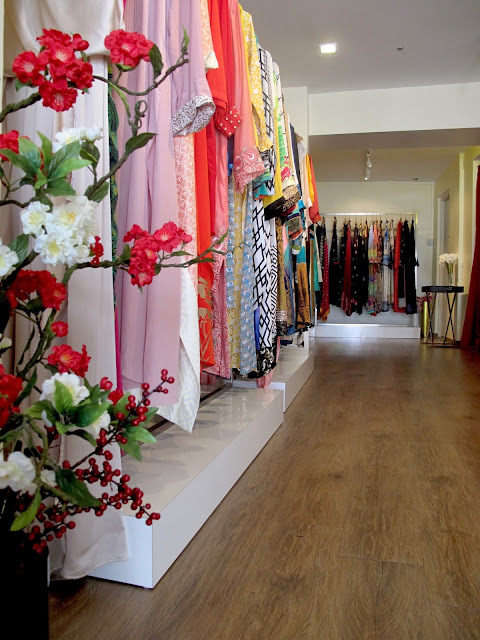 Mahjabeen also envisioned the store interior to have an special boutique feel to reflect the exclusivity of its stock, and put careful thought into the layout and decor. Indeed, stepping into SEMPRE feels very much like stepping into a glamourous, spacious wardrobe. Rails of colourful clothing in silk & crepe material surrounds the interior, whilst plush armchairs, gilded wall mirrors and curtained changing rooms in a deep-red hue add a luxe touch that feels nothing short of inviting. All clothing stocked in store comes from high-end and couture collections in Pakistan, with 10 to 15 new pieces arriving each week, each carefully screened and curated by Mahjabeen. In addition to labels such as Sana Safinaz, Sania Maskatiya, Mina Hasan and Nomi Ansari, Mahjabeen also offers her own self-designed Sempre label, which she plans to extend in the near future. 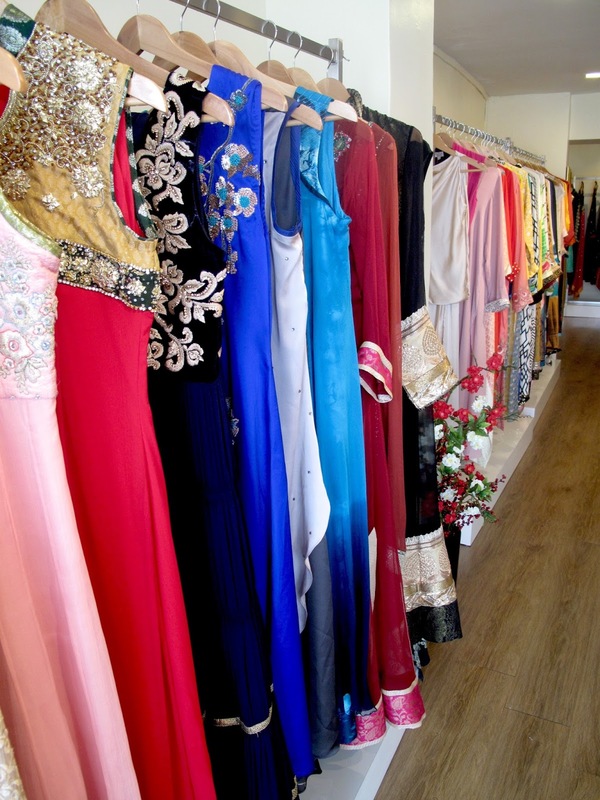 Casual, formal wear and bespoke outfits are all available to try, and each design can be purchased with or without sleeves, making them alterable to individual needs and preference. For this reason, the boutique has already garnered a following with not just Pakistani and Muslim shoppers, but also local and international Chinese customers who have been attracted, as I was, by the colourful designs and SEMPRE aesthetic. The clothing is so elegant, full of busy intricate details and patterns, and exceedingly wearable for those looking for an exclusive or special statement piece. A close-up shot of one my favourite designs! I do think that Sempre is toooo expensive! More than 50%-60% profit on each piece. Hope the prices can be reduced as these clothes are way cheaper in Pakistan. You guys have a great selection of designs and in such a great location in Singapore. Keep up the good work! How pretty! 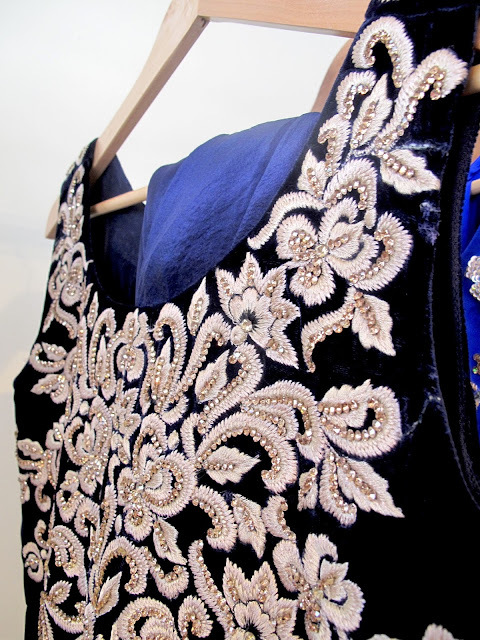 I love all the detailing on the pieces! "Very informative post !!!! Thanks for the great information really enjoyed the read ..great stuff !! !Thank you so much for sharing this informative and useful post !!! !